SeaStar is an improved Seashore Paspalum that rates among the top paspalums for turf quality, color and texture at eight trial locations. It is recommended for golf course greens, fairways, tees, roughs, athletic fields and sports venues. SeaStar has been extensively evaluated in multiple trials at mowing heights for greens and fairways and screened for disease resistance, drought-tolerance and salt-tolerance. SeaStar was also included in the 2007-2009 NTEP seashore paspalum trials at eight locations and was the top rated line for turf quality, color and texture. SeaStar will tolerate many water types that are considered toxic to other species of turfgrasses. It is considerably more salt-tolerant than Bermudagrasses and works well in areas that have compromised water quality due to water treatment facilities or ocean water intrusion. SeaStar is a sterile selection and can only be propagated by transferring stolons or sod. SeaStar produces excellent quality turf over a range of mowing heights. SeaStar is an improved Seashore Paspalum variety developed from a cross made by Dr. Paul Raymer at the University of Georgia in 2003. It is a patented variety that can only be sold as certified sod or sprigs by licensed SeaStar growers. It also is available for international licensing through the International Turfgrass Genetic Assurance Program (ITGAP). Dr. Paul Raymer directs the turfgrass breeding and genetics research program at the University of Georgia, Griffin Campus. His breeding program is focused on the development of improved cultivars of seashore paspalum, tall fescue, zoysiagrass and creeping bentgrass for a range of fine-turf and environmental applications. Specific breeding goals are to develop cultivars for high-stress environments with improved salt tolerance, drought tolerance, disease resistance and insect resistance. His research interests include genetics of salinity tolerance in grasses, development of herbicide resistance systems for turfgrasses, DNA fingerprinting techniques, development of molecular markers for important traits such as salt tolerance and application of enzyme technologies to address turf-related problems. Dr. Raymer’s program is supported using state and federal funds as well as by external grants from the U.S. Golf Association, the Georgia Golf Course Superintendents Association, the Golf Course Superintendents Association of America and other industry grants. His breeding program works closely with scientists from a range of disciplines including stress physiology, molecular genetics, weed science, plant pathology and entomology. 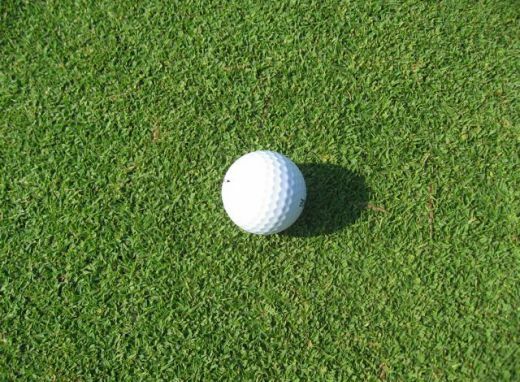 Since assuming leadership of the Griffin Turfgrass Breeding Program in 2003, Dr. Raymer has released two seashore paspalum cultivars, SeaIsle Supreme and SeaStar. He holds several plant patents and has utility patent applications related to his research on herbicide resistance systems for turf, the use of enzymes as a means of dethatching and treatment of localized dry spot in turf. Dr. Raymer joined the University of Georgia in 1984 as a faculty member at the Griffin Campus. He teaches “Undergraduate Research Methods” and “Plant Breeding Practicum” as well as trains and directs graduate students in turfgrass breeding and genetics. During his career at the University of Georgia, he has held several assignments as an agronomist and plant breeder in the Department of Crop and Soil Sciences. 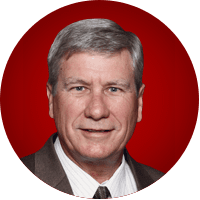 He currently serves as President of the Turfgrass Breeders Association. He is Technical Editor for the Turfgrass Division of Crop Science and is a member of the Board of Directors for Georgia’s Integrated Cultivar Release System. Dr. Raymer, a native of southern Arkansas, earned his B.S. degree in Agriculture from the University of Arkansas, an M.S. degree in Botany from Texas Tech University, and a Ph.D. in Plant Breeding from the University of Illinois.